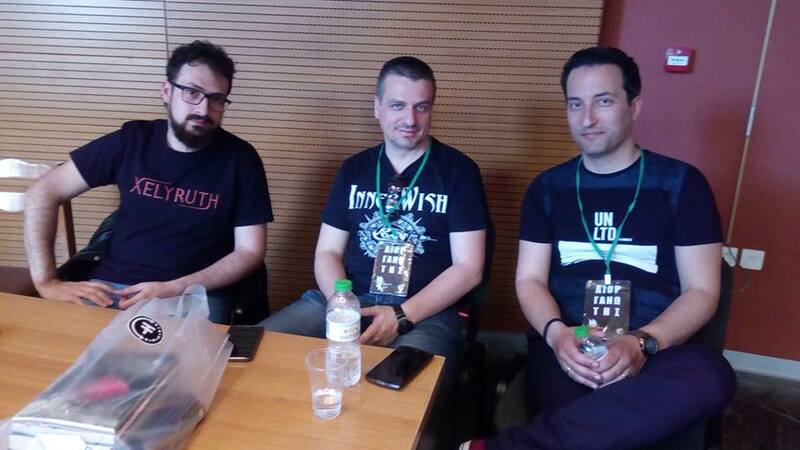 A ''Metal Chapters'' authors meeting! 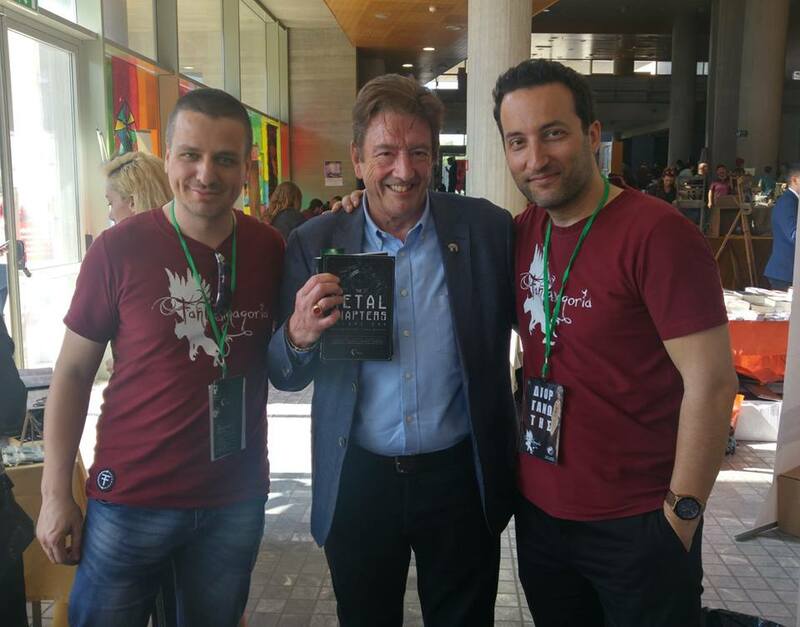 Graham Masterton was the honoured guest of Fantasmagoria festival which took place in Thessaloniki at 21 &22 April 2018 (Marios and George are part of the organising team). So, given the chance, some very interesting photos were taken! From the left to the right: George Damtsios, Graham Masterton, Marios Dimitriadis. 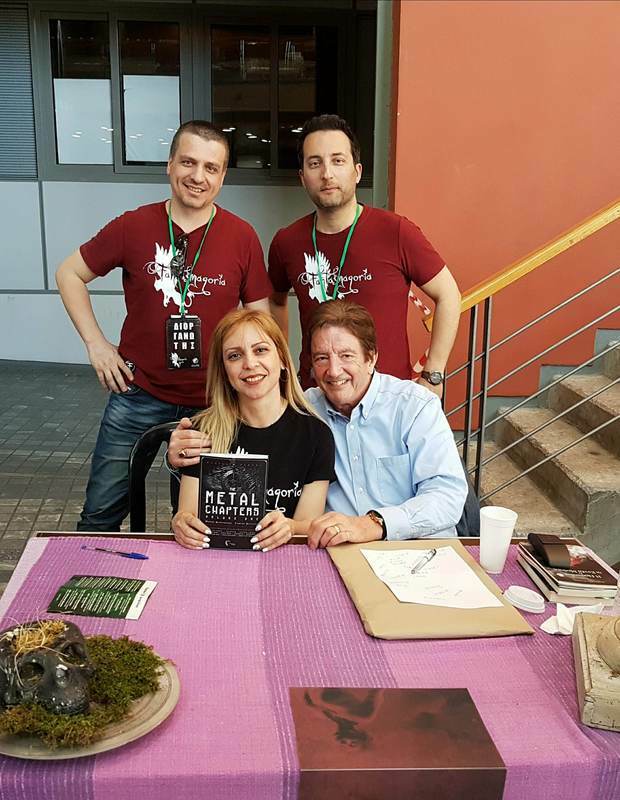 The authors of the book, together with Giota Damtsiou, the translator of many engish texts of ''The Metal Chapters'' project, in English. And here is the band Fantasmagoria, (Roger, George & Marios), who made the Ex-Voto tribute song! 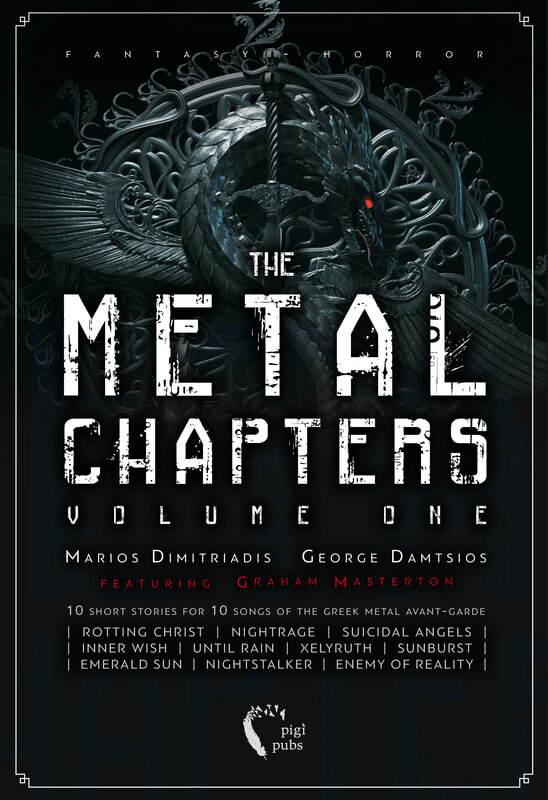 The metal chapters is in every bookstore in Greece, waiting to find a place in your library. 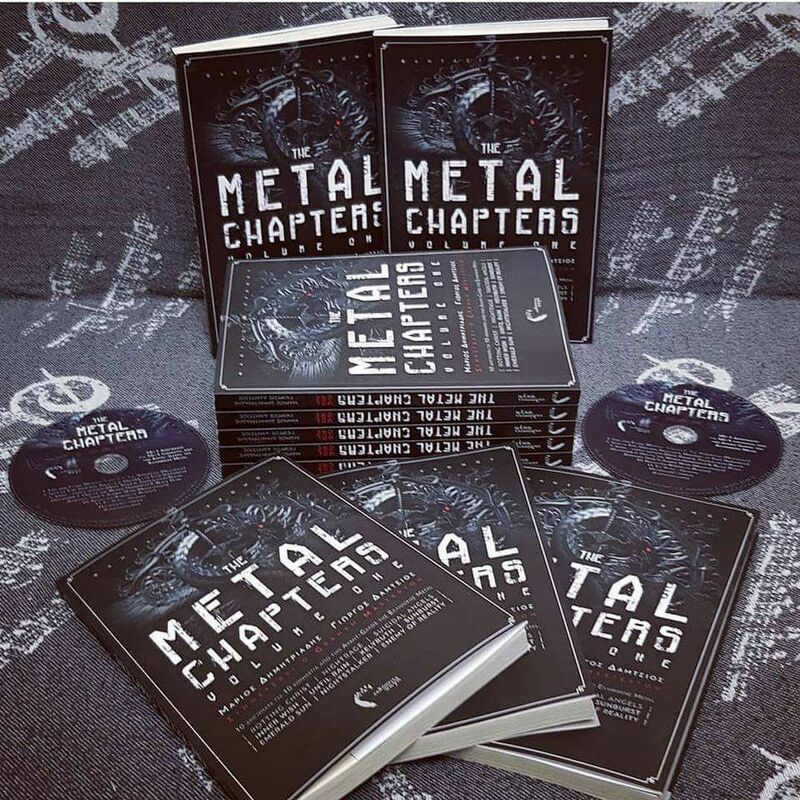 The Metal Chapters is spread all over the world! 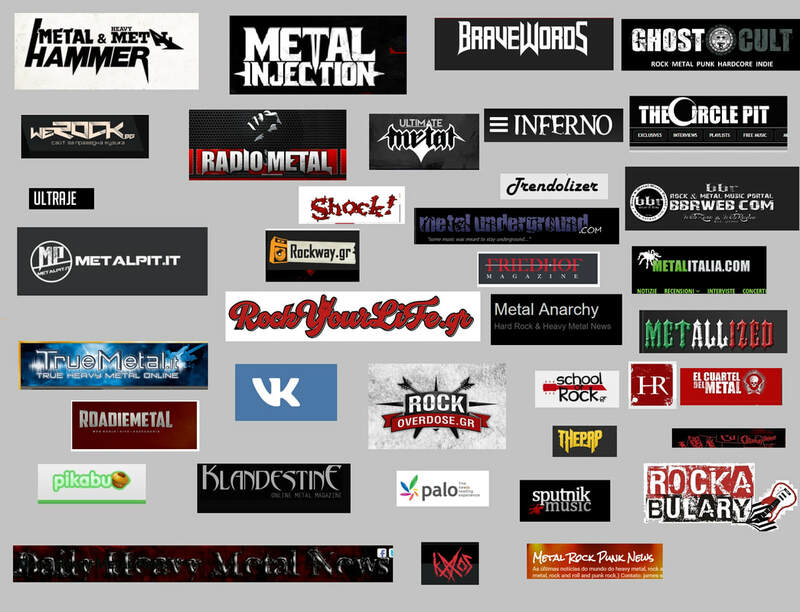 Dozens of sites all over the world have spread the news of the metal chapters project. "Fantasmagoria - Ex Voto" lyric video is out! 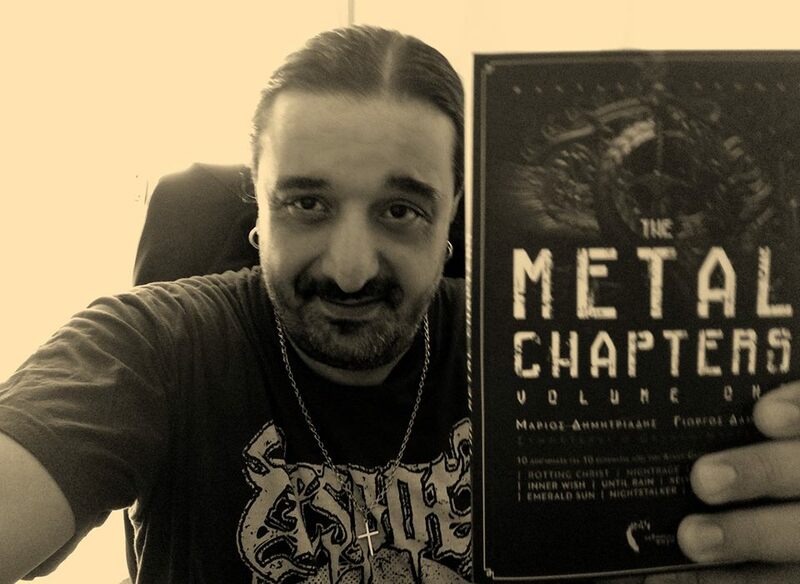 Marios Iliopoulos from Nightrage band with a copy of the metal chapters. The Metal Chapters Vol. I is finally out! We are happy to announce that Metal Chapters Vol. I book is released, at 16th of April 2018. The publisher has already sent the pre-orders and soon enough it will be also available in many bookstores and e-shops in greece. The official trailer of the Metal Chapters Vol. 1 project, is finally out! Enjoy! ​This song is an exclusive release to our project! ​Enjoy the lyric video via Rotting Christ tv channel! The song ''Fire and Flame'' of Rotting Christ is an unreleased one. ​You can see the lyric video through Rotting Christ TV in you-tube at the 10th of March. Stay tuned! The brand new book/cd project from the authors Marios Dimitriadis and George Damtsios is finally ready. The exact date will be announced very soon.